There’s a lot of nimble companies in the Silicon Valley and other tech pockets of the world that have gained success in certain niche markets with innovative technologies but have stayed under the radar. Their names, intentionally or unintentionally, do not make the technology news headlines. One of these is Vello Systems, a Menlo Park-based network vendor that started by selling switches to companies in the financial-services space. Eventually, the company developed a software-defined networking (SDN) solution it now sells to its financial-vertical client base and beyond. At the core of Vello’s product portfolio is VellOS, the operating system built on a Linux platform that lives on standard servers but does network configuration, orchestration and automation based on the need of connected storage and compute resources using OpenFlow, the open SDN protocol. 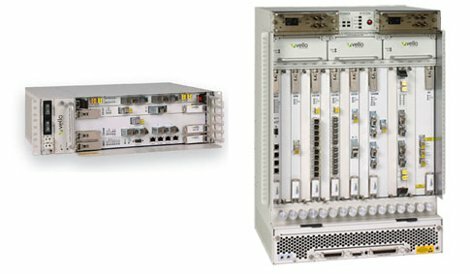 It extends the OpenFlow control set to both Ethernet and optical switches, hardware Vello also sells. One of Vello’s big SDN customer wins in the financial-services space is Hudson Fiber Network (HFN), which provides connectivity services in the electronic-trading ecosystem. HFN was the first outside provider to offer services at NYSE Euronext’s data center in Mahwah, New Jersey, after the operator opened the facility up to other providers in the early months of 2013. Keith Muller, HFN CEO, says the Mahwah data center is one of the facilities where Vello SDN is running. All of the carrier’s New York- and Chicago-metro PoPs have the SDN-enabled switches installed. SDN also allowed HFN to give its clients the ability to throttle their own bandwith on any services they are using as they need. They can have a 1Gb connection running, but throttle up to 5Gb if they expect a burst of traffic over a weekend, for example. The connection behaves like a “burstable Internet circuit,” Muller says. Having the flexibility of being able to control and change each port’s capacity and function is valuable to Muller, but the high port density that the solution provides is also a big deal. While its footprint has not shrunk yet, Muller says, eventually (as the need to increase active port count arises while the need to add more gear does not) HFN will be able to put off the need to lease additional space from the premium-rate financial-services data center providers it relies on. “It will eventually affect our cost structure and it will drive it down,” Muller says. This article was first published in the latest edition of the DatacenterDynamics FOCUS magazine.